Come check out these awesome animals! Ride on top of motorized reproductions of your favorite animals! 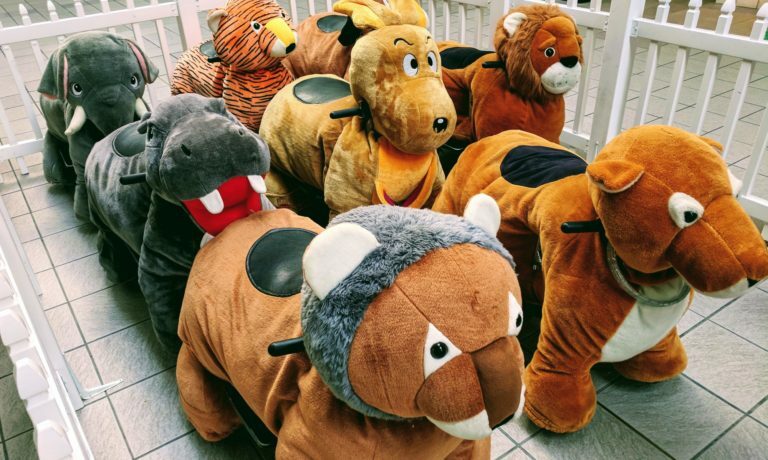 These plush animals have padding for comfort and are easy for even young children to ride around on. What? you’re an adult? No problem! Our furry friends can hold up to 300 pounds!